Time for another sponsor booth over at GESL 2012! 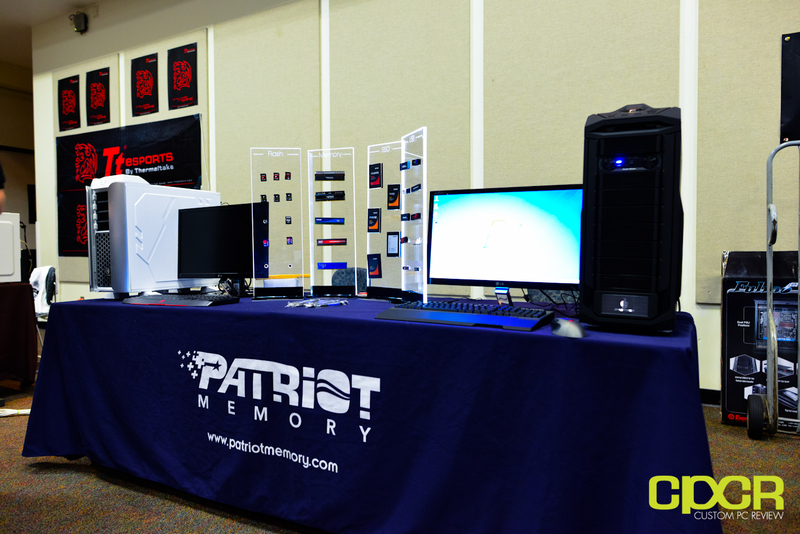 This time, we’ll be taking a look at memory giant, Patriot Memory, who’s got a pretty cool booth showcasing all their latest memory products. While everything they have on their glass wall is pretty awesome, the featured product here is of course Patriot Memory’s newly announced Viper 3 series DDR3 memory. 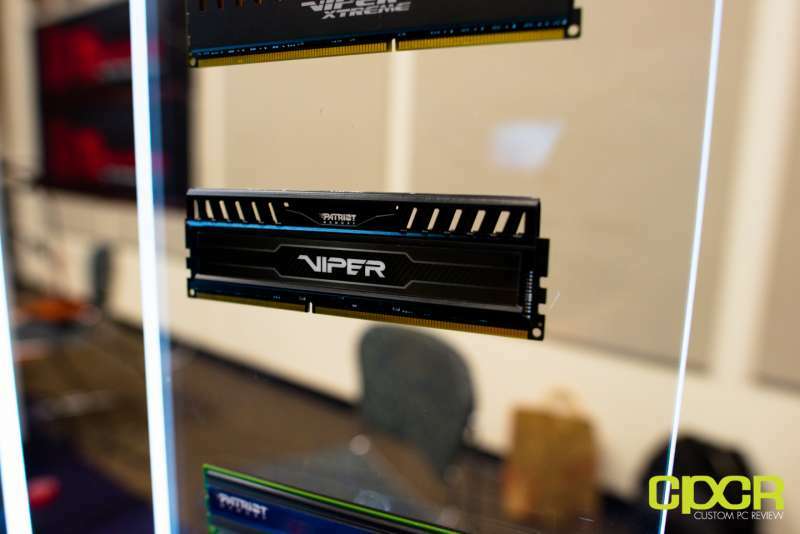 For those unfamiliar with Viper series memory, it’s Patriot Memory’s high performance/enthusiast memory and of course the Viper 3 with its aggressive heatsink design, black PCB, high clock speeds, and tight timings will fall right under this category. 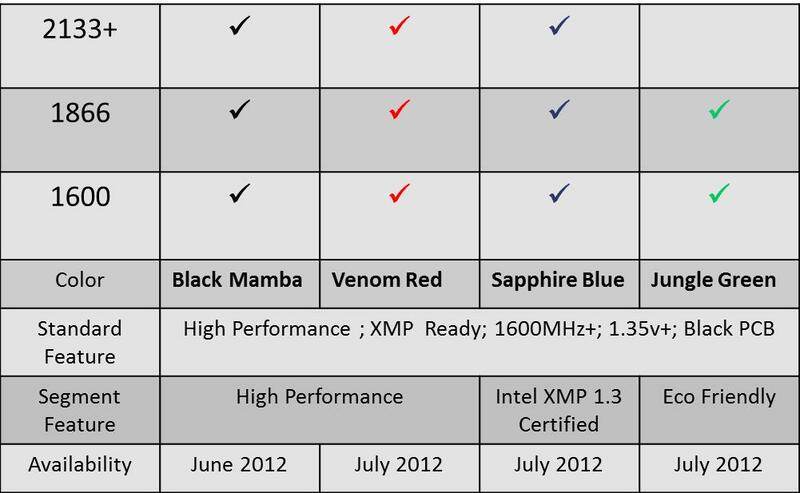 What we’re looking at here is the Viper 3 with the Black Mamba heatsink color; however, colors in Viper Red, Sapphire Blue and Jungle Green will be available as well. The memory will feature full XMP support and will actually be capable of hitting 1600MHz at only 1.35v, so it’ll not only run cooler than 1.5v or 1.65v memory, but be more power efficient as well. 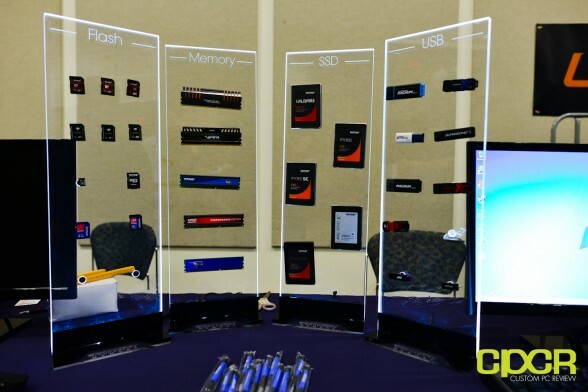 Be sure to keep an eye out for the new memory this month!